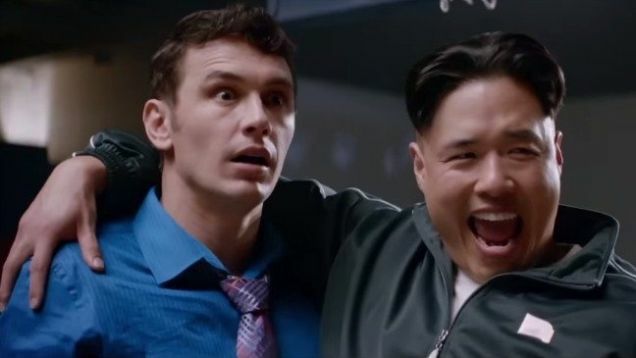 U.S. officials have confirmed that North Korea was "centrally involved" in the Sony hack, according to reports in the New York Times, CNN, CBS News, and NBC News. The confirmation comes just hours after Sony canceled the release of The Interview, the James Franco-Seth Rogen comedy rumored to have triggered the cyberattack, over vague threats to cinemas scheduled to show the movie. "We have found linkage to the North Korean government," one U.S. government official told NBC News. The New York Times reports that the White House and other U.S. officials still aren't sure how to publicly respond to the hack. Officials said it was not clear how the White House would decide to respond to North Korea. Some within the Obama administration argue that the government of Mr. Kim must be directly confronted, but that raises the question of what consequences the administration would threaten — or how much of its evidence it could make public without revealing details of how the United States was able to penetrate North Korean computer networks to trace the source of the hacking. Others argue that a direct confrontation with the North over the threats to Sony and moviegoers might result in escalation, and give North Korea the kind of confrontation it often covets. Japan, for which Sony is an iconic corporate name, has argued that a public accusation could interfere with delicate diplomatic negotiations underway for the return of Japanese nationals kidnapped years ago.